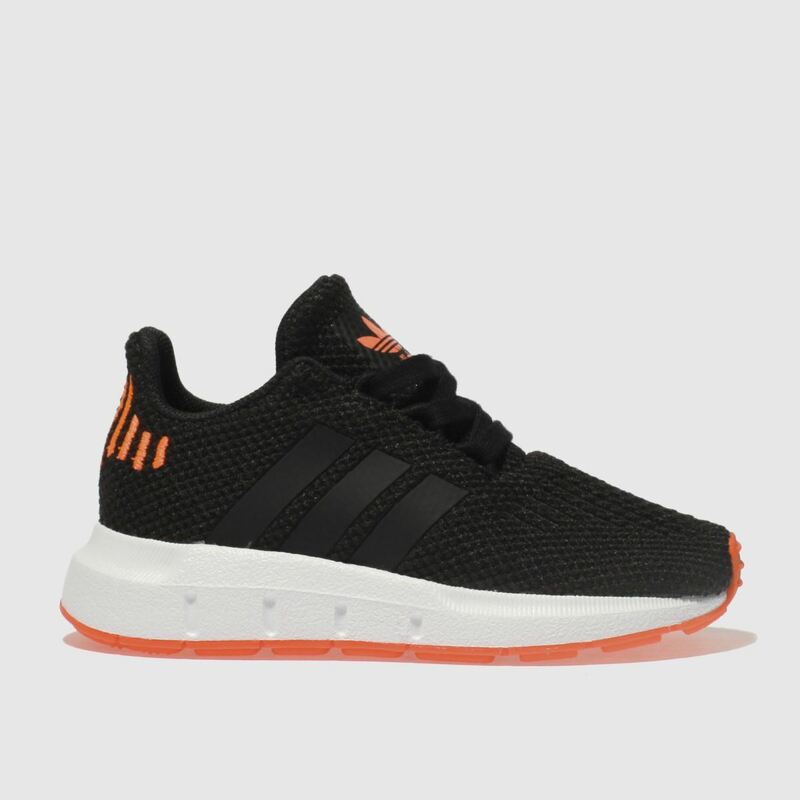 Freshen up their look this season with the versatile adidas Swift Run profile. 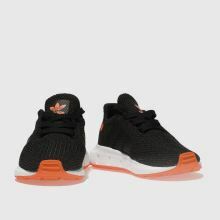 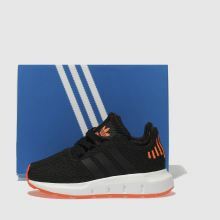 This trainer boasts a sock-like fit and is crafted with a black and orange man-made upper. 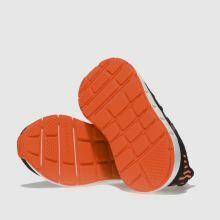 This kids' shoe takes comfort seriously as an EVA midsole cushions their stride.